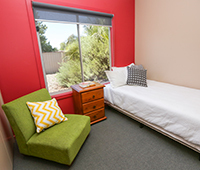 Year 5 students are accommodated in an eight-bedroom facility co-located with Monash Rural Health Mildura and only metres from the Mildura Base Hospital. Kitchen and laundry facilities are shared by all students. Each bedroom has a king single bed, study desk and wardrobe, and shares a bathroom with one other student. Students need to supply their own bedding. Wireless internet and all utilities are included in the weekly accommodation rental fee. Why not request three consecutive placements in Mildura? It might eliminate the need to maintain accommodation in Melbourne for half of the year. Parking is available in the parking area in front of the residences, and permits are provided on the first day of placements. Year 3B and 4C medical students, and nursing and allied health students occupy modern accommodation in the community. Most of the houses have three bedrooms and two bathrooms; one has four bedrooms and two bathrooms. You will therefore be sharing with two or three other students from your own year, and we attempt to meet all requests by students to be housed with friends. All houses are fully self-contained, with equipped kitchens and laundries, and all bedroom and lounge furniture (including TV). You need to bring your own bedding and personal belongings. All houses have wireless internet, and this, along with utilities (to a capped amount) and gardening are included in your weekly accommodation rental fee. All houses are within easy walking distance (2 km) of school, although it would be an advantage to have your own car for the duration of your stay. Parking is at the front door or in some cases in a lockable carport. Previous students have commented that these houses are "as good as what we live in at home". 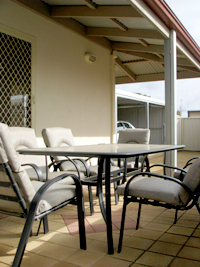 They are comfortable and secure and enhance the overall student experience while studying in Mildura. For the two weeks that you are undertaking your rural placement, you will be housed in 4-star luxury at Quest Apartments. Costs for accommodation for the current year are available on the Monash Rural Health Accommodation page. 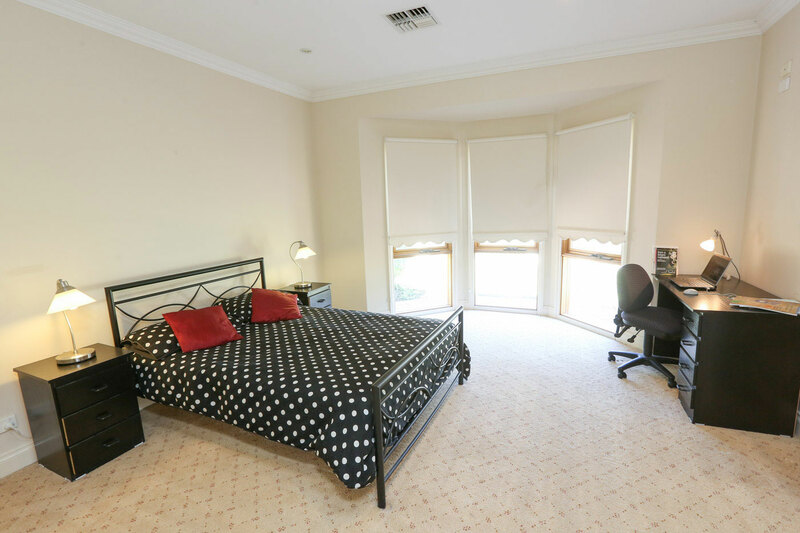 If you have any questions about Mildura accommodation, phone us on + 613 5022 5500 or email mrh-mildura.enquiries@monash.edu.